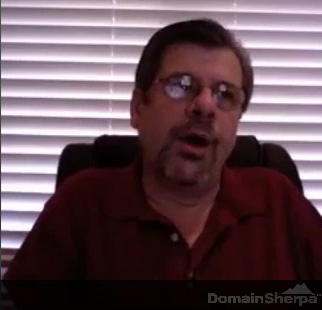 Rick Schwartz – retired domain investor after making smart investments. Photo courtesy DomainSherpa. Let’s face it: not all domains are created equal. If you missed being an adult – or even, being born – during the 1990s, chances are that the best domain names were scooped up by industry legends like the Castello Brothers. Obviously, you can compensate by spending money to invest in domains available in the domain aftermarket, and that might cost you a pretty penny. Such venues include Sedo, Afternic, NameJet and Flippa. You can also get domains at the drops, hoping that there will be no competition at the auctions; forget about hand-registering the best domains that drop, it’s impossible. Lastly, you can place offers to buy domains directly from their current owners, hoping that they are not familiar with their value, or willing to let them go cheaply. Avoid bidding in well-advertised domain auctions, as prices end up higher. Instead, scour domain sales threads at popular domain forums, such as DNForum or NamePros. Sign up for industry newsletters that offer quality names at discounted prices. We recommend Brannan’s as one such source of daily goodness. As a seller, always set up your domains to receive offers, not with a BIN price. This way you can drill down the prospective buyer’s profile, particularly via Domain Name Sales. If it’s in the news, and it’s not about death, disasters or other human loss, it’s probably registrable. Check out news covering technologies, discoveries and other fields that would offer leads to a hand-registration, or the quick acquisition of a domain before the news gets out further. Avoid trademarks, obvious typos of marks or other domains that come with a promise of future litigation. Spend your money on domains that are free from any current or pending marks, via the use of USPTO or other databases.  Allow expert domain brokers to handle your outgoing sales, by signing up exclusive contracts. Don’t just plaster your domains on every venue, as you risk devaluing them. We recommend Igloo for the job, they have been awesome. Stay away from most exotic domain TLDs that appear to be trending, but long term will most likely be abandoned for the sake of a .COM. Small islands in the Indian ocean hosting British naval bases come to mind. 😉 Stick to .com, .net and .org and you won’t go wrong with these.  Invest in select, quality, meaningful gTLDs that serve a purpose and which are operated by established domain Registries. Make sure that the keyword + the gTLD form a strong pair that actually means something. Have any other recommendations? Share them in the comment section below.